For Meetings and Conferences, Training Events, Chapter Meetings, Trade Member Organizations. Serving associations with number of paying members ranging from 50-5,000. Comments: I was in the market for a new website and all the all inclusive membership management websites were just out of my price range. I decided that the Website was going to be on the WordPress platform. This would make updating content relatively easy. Now I needed a membership platform that would also include events and the ability to generate CEU certificates. Through some of the product evaluation sites, I found 123Signup. The demo presenter was very friendly and professional. I did notice that the software was dated. Since there was no real alternative in my price range that offered this functionality, I decided to move forward. All I can say is that the basic foundation of the software is solid. Currently it handles basic events without support. When you need to a more complex event, there is an additional $35.00 setup charge which I could not understand. I think this goes back to the platform being dated. The customer support is courteous and extremely helpful. I have had numerous conversation with a customer support manager regarding the lack of modern-day functionality. She was nice enough to tell me that they are aware of this short-coming and are addressing it with a massive re-write. Currently the email campaign and survey feedback is extremely basic. She told me that instead of reinventing the wheel, 123Signup would most likely have some sort of integration with products like MailChimp and Survey Monkey. I am confident that down the road these items will be addressed and fixed. Having 123Signup as a partner is the best decision I made for the organization I represent. Comments: I have nothing but stellar things to say about 123Signup and the staff that work there in San Jose, CA. The Support staff, including Jessica and Paula, have solved enumerous problems for us, not the least of which was helping us refund monies from our 2012 conference which was wiped out by Super Storm Sandy. Ann in also a fabulous person to deal with and will help you on the financial end as well as setting up your event constraints. She also is very knowledgeable in solving problems of all types. When people register and pay money to 123Signup on your behalf, your designated individual will receive an email confirmation to that effect. Your online intermediary between 123Signup and your bank will also send that person an email that money has been paid. It is a great and seamless process. You will receive monthly bills for transaction fees from 123Signup which you can pay either online or by check according to your setup. We had another company for 1/2 year prior to contracting with 123Signup did not like them at all. So I researched other online companies and, by far, 123Signup was the best of the best. They will provide you will online training and you are entitled to up to 4 administrators. You can also send out periodic email blasts to the membership of your organization, the frequency being based upon your contract. Once again, I have all positives and no negatives to say about this company. I recommend it most highly. A solid, basic Association Management Tool with a lot of features, sufficiently user friendly. Pros: It addresses and offers all the different features you might need in managing your association in one webbased tool, you can pick with components you need, everything is set up in a basic, working fashion. Cons: With great variety comes great confusion. The tool is not the most user friendly, which, I'd say, is partly because it offers everything you might need in the association management sector, so I'm not even sure, if that's a thing that could be changed. Cons: Sometimes it is clumsy: Each task is a separate module. If one has several tasks to perform for one member, one must go to each module and search for that member. This gets old very fast. It would be much easier to be able to perform all tasks after doing just one search. Overall: If you ever ran a membership organization, you know it can get tricky keeping track of everything. When buying software to do the work, it is also very easy to spend a lot of money. Association Manager is a package that helps with membership administration and event organization. It is fairly flexible in allowing customizations. It provides safe credit card processing and helps with administration of payments by check or money order. The software has a number of quirks and it could be easier to use, but these issues are easily offset by the excellent and fast customer support. The package is also affordable for small organizations. Pros: The ease in running and downloading reports. I find the program very easy to use. I'm not sure what else I can say about this program. It is good and easy to use. Cons: I would like a help button when needing assistance while in the software. I'm not sure what else I can say. Sometimes I am not sure how to handle payments for many on one card however the card holder wants only one transaction shown on their card. 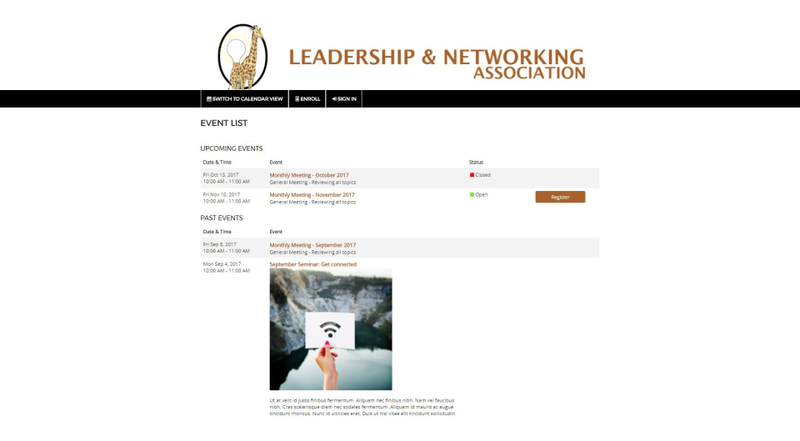 Overall: I use for monthly luncheons for our group. Comments: 123Signup served us well for our organization's annual conference. It handled all aspects of membership enrollment and registration across multiple categories of membership. We used it for payments, invoicing, email reminders, name badges, and much more. It saved our board members countless hours and we look forward to learning more what we could accomplish since we did not even scratch the surface of what 123Signup offers. While we did find it difficult to navigate in the system to find exactly what we needed, customer service was extremely prompt and efficient at getting us needed assistance. Comments: We have been using 123SignUp for years now for our group. We are using it to manage our membership directory, credit card processing, renewals and registrations, to manage events, to create all types of reports, and email campaigns... Through all these years we had nothing but exceptional customer support. Staff from 123SignUp is always so kind and supportive and ready to help with any type of issue. The application works great and is robust enough to handle the needs of our group very well. I would always recommend this product. Technical support, response time to question and ease of use and excellent. Comments: we looked and many options before choosing 123 Signup and we are happy with that decision. Great technical support and very fast responses to questions. 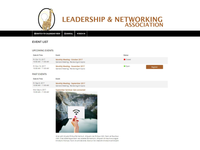 Comments: We have found the 123signup software to work well for our association. We have about 1000 members and hold an annual congress for about 1700. 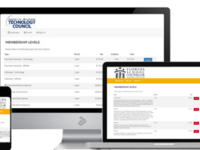 Members and registrants can easily navigate the dues renewal and registration process online. Customer service for 123signup is always great. We get advice on how to implement new programs or fee structures and can learn about ways other associations are handling similar situations. Overall it is a product that I recommend. Comments: We have worked with 123Signup since 2006 for membership and meeting registration services. The system is user friendly. We manage multiple clients each with their own unique needs. When special reporting is needed or help with any issues their Customer Service Department has always been very responsive. It would behoove 123Signup to improve their Mailings option and enhance the emails that are sent to members/attendees. I would recommend giving them a try. Comments: Overall, I think the product handled the needs of our company very well, and we did not make it easy for them. We have a lot of moving parts. Service was great, very responsive, and despite my clumsiness, they were always patient and responded fast. I would work with them again, no hesitation. Comments: Customer service is fantastic and their response is timely and helpful. This is a great company to work with! !